Is there a better alternative to Font Showcase? Is Font Showcase really the best app in Font Tools category? Will Font Showcase work good on macOS 10.13.4? 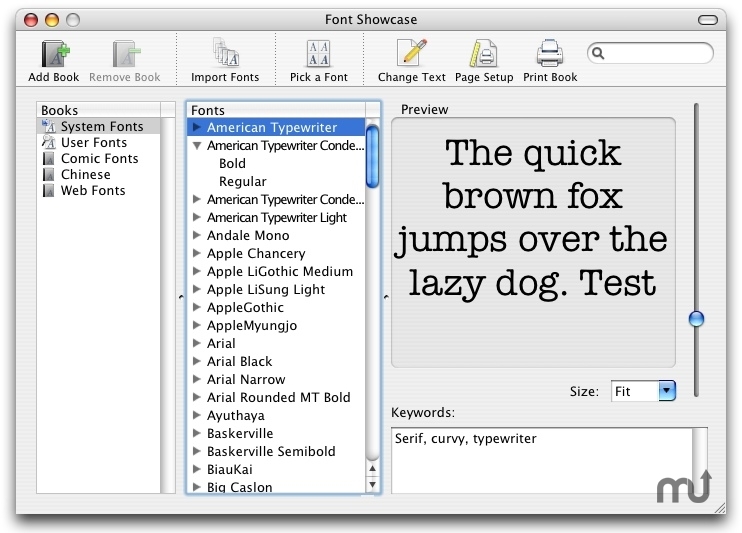 Font Showcase is a font viewing utility used to view and print true type fonts. With a very user friendly interface, and the ability to print fonts not only in your system folder, but also those that have not yet been installed. An indispensable utility if you've got too many fonts to remember just what each looks like, and also allows you to print a catalog of your font collection. Fixed a minor bug in crash recovery. Added standard key shortcuts for removing items from font books. Font Showcase needs a rating. Be the first to rate this app and get the discussion started!